With 291 days remaining before the start of the 2016 US Olympic Team Trials and 330 days before the opening ceremonies of the 2016 Rio Olympic Games, USA Swimming has officially named the 2016 US Olympic staff. Sources have confirmed that David Marsh has been selected to lead the women’s team while Bob Bowman has been selected as the head coach of the men’s team. This is the first time either coach has been named the head coach of the US Olympic team. The official announcement will be made at 12 noon EST. As of August 28th, SwimMAC Carolina leads the country with the highest number of post-grad swimmers qualified for the Olympic Trials. David Marsh’s Team Elite features prominent American swimmers such as Ryan Lochte, Micah Lawrence, Cullen Jones, Camille Adams, Tyler Clary, Jimmy Feigen, Matthew Josa, Kathleen Baker, Madison Kennedy, Tim Phillips, Katie Meili, and Mark Weber, among other international swimmers. This will be Marsh’s fourth time as a member of the Olympic staff. He was first named an assistant to the Olympic team staff for the 1996 games, and was again named to the team in 2000. His third Olympic Games as a member of the staff was in 2012. 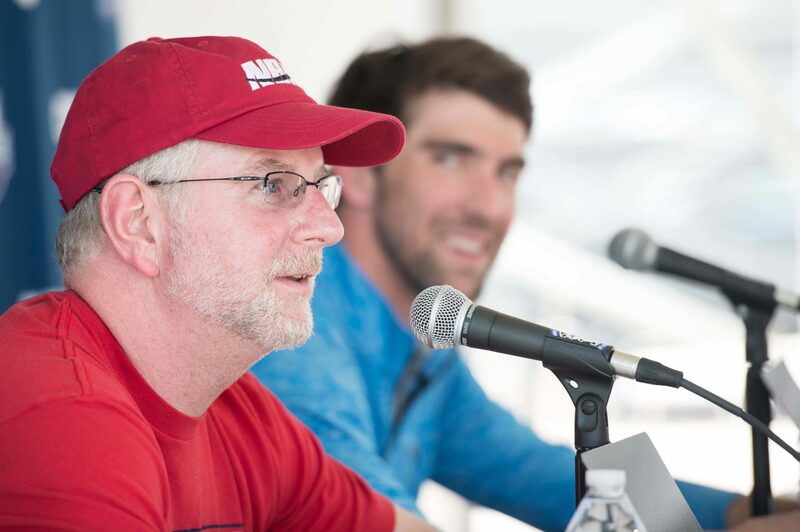 Bob Bowman has coached the most decorated Olympian of all-time, Michael Phelps, and will likely lead fhim again into his fifth Olympic Games. In the midst of his comeback, Phelps secured the fastest time in the world in three events during the 2014-2015 season and is a favorite to make the Olympic team this summer. He recently moved to Tempe, Arizona and was named head coach of Arizona State. The American stars joining him in tempe for the Olympic year will be Phelps, Allison Schmitt, David Nolan, Chase Kalisz, Cierra Runge and Frank Dyer. This will also be Bowman’s fourth Olympic games as a member of the staff. 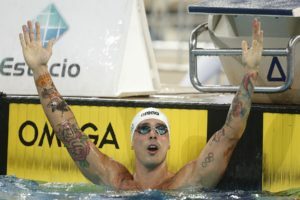 He has served as an assistant at the last three Olympic Games, among other international swimmers. 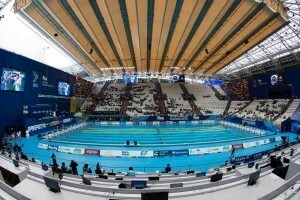 The rest of the staff will be announced live at usaswimming.org at noon EST. It’s a little unrelated but is Becca Mann staying in Baltimore?? What about Lotte Friis? Please correct me if I’m wrong, Swimswammers, but I believe Erik Posegay is Ms. Mann’s direct coach, and as he is now the Head Coach of NBAC, I expect she will remain there. I read a comment from Ms. Friis in which she stated her desire to end her career training at NBAC, and since I believe she trains with the same group as Becca, and I assume Sierra Schmidt (since they are all focusing on the 800 free), my guess is that Lotte will remain in Baltimore also. I know this will make a lot of people mad but u don’t think Bob deserves it in anyway at all! Yeah I know he has made MP and I give him props for that. But it is a Testament – is coaching when you have great athletes such as on Conor Dwyer and Matt McLean leaving because they they” if you’re not doing what Michaels doing bod doesn’t care”.I mean the only real swimmer he has made is MP katie didn’t Tran with him. If anyone I would say they’ve Durden would be the best bet he is an amazing coach and gets along with everyone unlike bob! Swimfish87 – I think this was Bob’s last chance, that’s why he got it. People saw it as a black mark if the coach of the greatest swimmer ever was never the oly team head coach. Plus I like Durden as a coach but he had his big audition this summer as hc of the worlds team and that was basically a disaster. The relays were terrible, he put his own swimmer on a relay and it cost them a medal. Sure you can argue he didn’t have Phelps, but if your argument is the team was bad because of no Phelps, then it makes sense to give it to Phelps’ coach. Allison Schmidt did pretty well in London, as I recall. Conor Dwyer left Troy, and that didn’t make Troy a bad coach. He went to Salo, and he didn’t do any better than with Bowman. Sometimes it’s not the coach. Great forward-thinking decisions! This is fantastic news for Team USA swimmers in that the Oly coaches will not be the same/old-school as in the past. Lets give coaches who use new methods, new thinking, state-of-the-art tools, and positive non-bullying styles an opportunity and this will help USA swimmers perform at their peak. Go Team USA!! Rio will be fantastic. Not sure if you are referring to a specific coach with your “non bullying” comment? Anyways, congrats are in order to Marsh & Bowman! And to add to Bowman’s growing group @ Tempe, I believe that Felicia Lee is now also training with Bob (formerly with Stanford). I was just saying I don’t think she moved to Tempe to train. Just there while Stanford team is in Hawaii.